Starting off with the higher priced of the two, the Too Faced Shadow Insurance Primer in Candlelight . Now this is a beautiful primer and has everything I want. It's a very pretty shimmery golden shade so it's great on it's own or as a base. 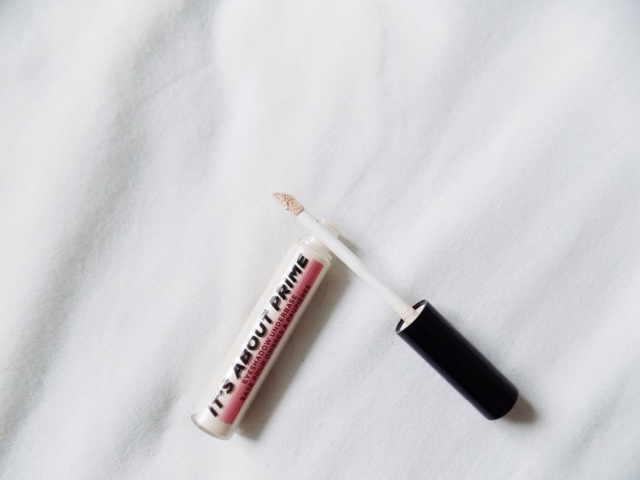 It's crease-proof, fade-proof and claims to have a 24 hour wear - although I don't wear eyeshadow for 24 hours so if you've tried that please let me know how it performs - and frankly it's a really great eyeshadow primer. But, it's £14.00 and not the easiest thing to get your hands on. You can find it on the Too Faced website (here) but the shipping is a bit of a kick in the teeth when it's got to come to the UK but if you have a Sephora or Ulta (maybe stock it) near you then you are one lucky biatch. Packaging? I'm not a massive fan of a squeezy tube for a product like this. I prefer for it to be a doe foot applicator type deal. But this is still a great product, has so many amazing benefits and really does perform well. Packaging: 9/10 The squeezy tube is a bit of a pain, but you get a lot in the product for the money you are spending so I just wish they put in a doe foot applicator rather than leaving it as a thin nib thingy. Price: 9/10 It's £14 for this tube, but you get quite a lot in it for your money. There's 11g of product in here and although they're never completely full, it's still going to last ages. Prime-ability: 10/10 It provides a great base for shadow, can be used alone or set before applying anything else. It also brightens the lid slightly as there's some shimmer in there too. Longevity: 10/10 Keeps everything in place all day (not sure on the 24 hour claim thought) and it's also water-proof, smudge-proof and crease-proof. Overall: 38/40 - The price, availability in the UK and the packaging is what lets this down in my eyes. Although the value for money is great, you get a lot of product and you can find it on eBay and Amazon (although much more expensive) I still feel that these things let this product down. But I will absolutely still use it, won't let it go to waste and I still think the performance is amazing. 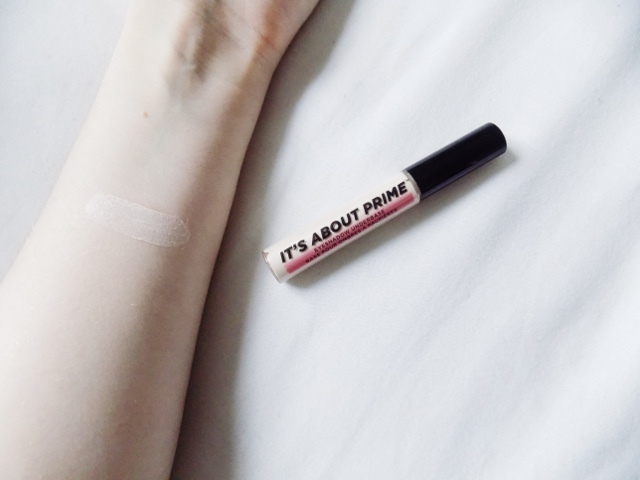 Next is the drugstore alternative, the Soap & Glory It's About Prime. This eyeshadow primer is my favourite out of the two, I am confident in this statement as I always reach for this one. I prefer the applicator, I prefer the texture, how it applies, feels, how it keeps everything in place all day, it helps even the lower quality (cheap) eyeshadows stay on longer, crease-free. I have never had an eyeshadow primer keep my makeup on and looking the all day. No creasing, no fading, no looking dry and gross. But this one, oh boy this one does. There's no colour to this base and I like to use the Maybelline Sultry Sand Eyeshadow to set it, which helps even more to keep everything in place and it also means that there's no patchy application of the eyeshadows over the top, it makes them blend easier, seamlessly and I have had so many compliments on my eyeshadow when I've worn this primer. Plus it's £4.00, is easily accessible and it just works really well. Whether you're wearing eyeshadow or just liner or mascara, they don't transfer onto the lid or brow bone, there's no smudging or any movement of the products at all. 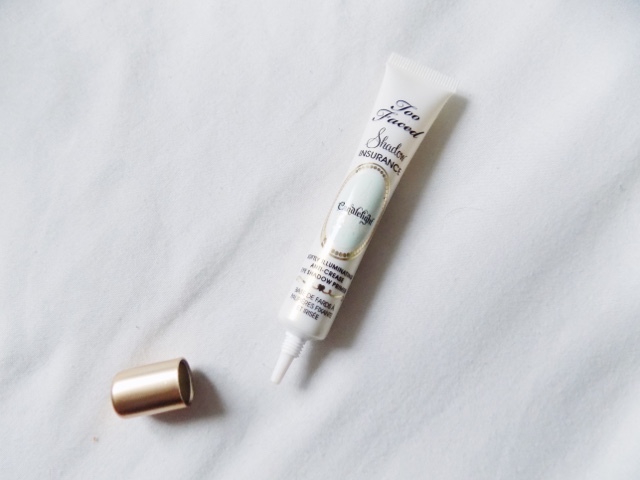 It's just awesome and as you can probably tell I love this eye primer a lot. A lot, a lot. Packaging: 10/10 I love the doe foot applicator to apply this, it's so much easier than a squeezy tube and you can apply it directly to your eyelid. Price: 10/10 It's super affordable and available in drugstores. There's 5ml in this so you don't get as much as the other but this is much cheaper and you could buy 3 for the price of it's competitor. Prime-ability: 10/10 It works incredibly well, crease-proof, smudge-proof, no colour, smooths out the lid. It also has coffee extract in it to fight off morning puffiness and the brightening effect this has on the lids is beautiful. Longevity: 9/10 Lasts all day, but isn't waterproof, that's my only niggle with it but when set and left to dry, it doesn't budge, but who knows how bad it would be if you jump in a pool with it on, not that I plan to do that so not massively worried about this. Overall 39/10: I seriously love this stuff. It just works amazingly, it's ridiculously affordable and I highly recommend checking this out. 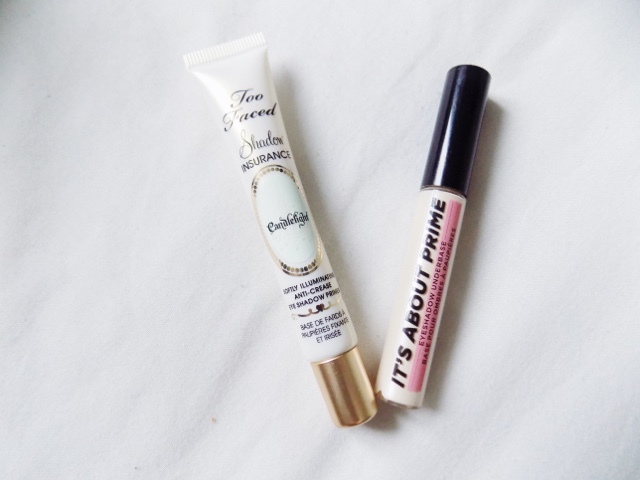 It's very close in the scores for both of these products but as I'm sure you can tell, the Soap & Glory primer is by far my favourite and I use it every day whether I'm wearing eyeshadow or not. I love it, and highly recommend everyone checking it out. 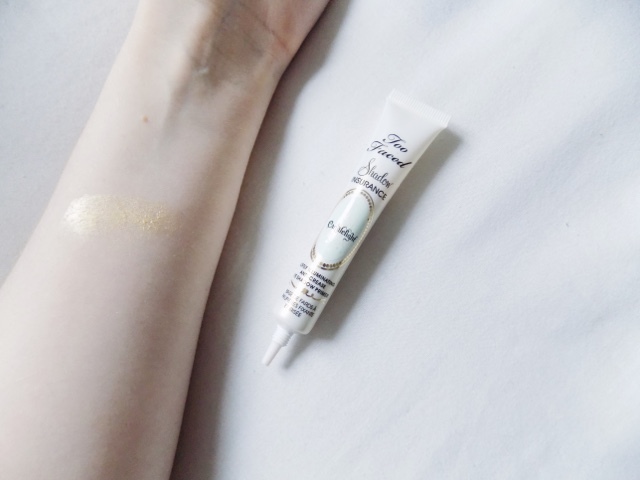 If you can get your hands on the Too Faced Primer then it's still a great product and highly recommend trying that one out too. I hope you liked today's face off. Let me know what your favourite eye primer is and what else you would like to see compared and put to the test. What is your favourite drugstore eyeshadow primer?